ROMAKEY -OIL is the new system of oil staining in high-tech ammonia-free and easy to use that covers and lightens up to 4 tones with extraordinary delicacy. It is a system of high-intensity color without ammonia pleasant smell, no fumes. 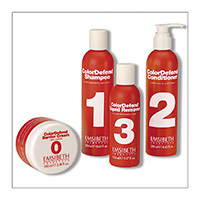 Provides 30 % more lasting color thanks to the oil that penetrates further into the hair fiber. The oil -based formulation in treating alcohol oleic acid, oleic acid and cationic polymers makes your hair extremely shiny and brilliant. It lightens and it can also be used as a tone -on-tone. 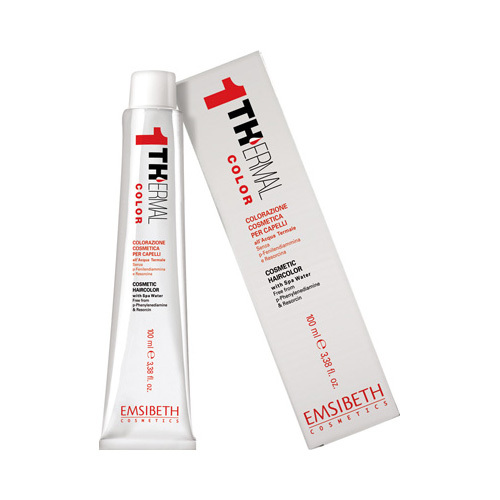 Covers gray hair 100% directly and does not stain the skin. It is easy to apply and gives a pleasant feeling of well-being during application. 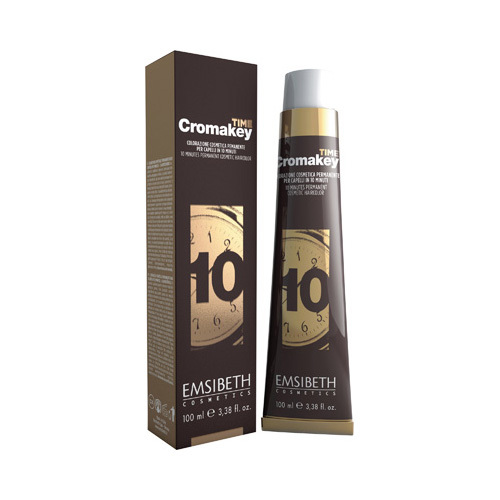 In conjunction with Cromakey-Oil was created Cromakey -Oil Serum Protein, a non- rinse conditioner from the protein-based cationic keratin new generation, 100% absorbable by the hair, moisturizes and nourishes the hair favoring the absorption of color. Shades available in 60 shades in the range : natural, intense, natural ash, ash gold, gold, ash, copper, mahogany, intense red, wood, and neutral (NN). method of use : in a non-metallic bowl or shaker mix into 75 ml of Cromakey-Oil with 75 ml of Cromakey -In Activator based on the ratio 1:1. 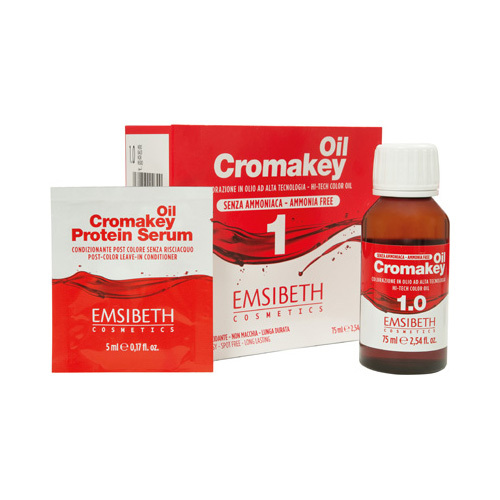 For SERIES: mix 75 ml of CROMAKEY -OIL with 115 ml of Cromakey -In Activator based on the ratio 1:1.5.
box: bottle of 75 ml in box of 3 pcs.